6 Bed / 6 Bath 29 acreÂ± retreat on Center Hill Lake. Is your Church or business looking for a place to host gatherings or entertain guests? Have you ever dreamed of owning a bed and breakfast? If so, look no further. 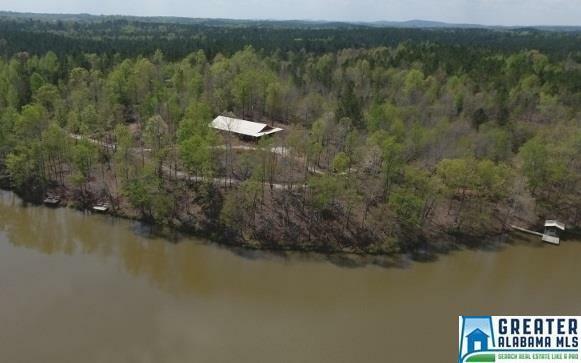 This beautiful property sits on 29Â± acres on Center Hill Lake. If you are looking for a home, use as is or remodel the inside. The rooms come fully furnished and are ready for guests. Each room has a queen bed and bathroom, couch, mini fridge, and microwave. The 2 units on the end have a full kitchen and table, sitting area, and can connect to the room next door. The lake is beautiful. Go fishing, swimming, canoeing, or just hike around the property. There is also an extremely nice mobile home on the property that was used by the owner. It can be included for an additional $20,000. Driving Directions: From The Intersection Of Hwy 9 And Hwy 48 In Lineville Al Head North On Hwy 9 For 6.6 Miles And Turn Left Onto Center Hill Road, Go 0.8 Miles And Property Will Be On You Right.